Yahoo Japan’s myThings integration added to Tapia! MJI’s communication robot Tapia now features integration with Yahoo Japan’s IoT platform “myThings”. Yahoo Japan’s myThings is an IoT platform that allows developers to manage and customize a selection of integrated IoT services on their target device. Enhancing a device with IoT and web services using Yahoo Japan’s myThings can provide both new value and new experiences to customers. Soon Tapia will provide easy-to-use and fun shopping experiences by linking with the “LOHACO” channel in Yahoo Japan’s myThings, as well as incorporating weather forecasting and emergency warning announcements. After a long day, Tapia will calm your heart with conversation and humor. Tapia’s video call brings you the smiles and voices of your far away loved ones. When you go out, Tapia will tell you the latest weather information. When you just want to relax, Tapia will play music to suit your mood. Tapia is more than a device, Tapia is a companion to your lifestyle. 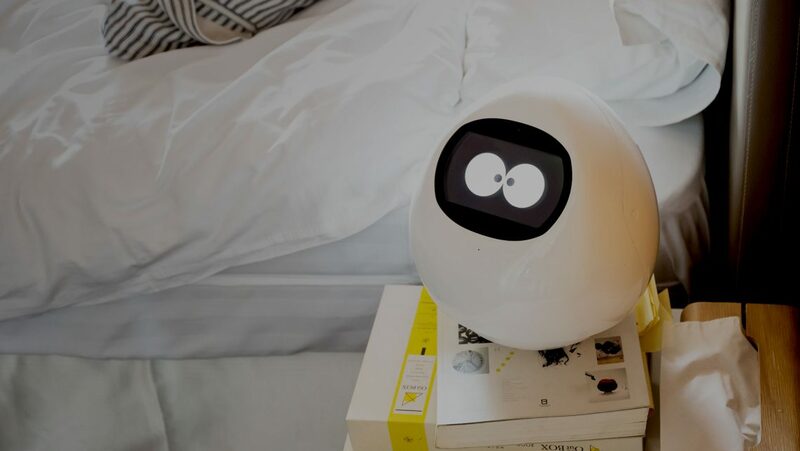 Tapia is a portable, household communication robot with a height of about 25 cm. Tapia is equipped with a camera, speaker, microphone, touch panel monitor, a built-in battery, and can use simcards as well as wifi signals for phone and Internet access . In addition to speech recognition, speech synthesis, and face recognition you can enjoy everyday conversation with Tapia. The response of the robot changes depending on the pace of the conversation and the content, as well as the robot’s own emotional status. MJI Co., Ltd. was established under the slogan “MORE JOYFUL INNOVATION” in July 2015. Our goal is to develop robots that make your life more joyful. MJI robots are your companions in the IoT age. © 2015 MJI Inc. All rights reserved.